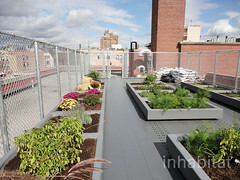 Fifth Street Farm Project strives to create a green roof farm accessible to all children on the Robert Simon Complex in NYC’s East Village. This project is hoping to integrate urban agriculture into existing school courses in science in nutrition. The project’s teachers are in the process of developing curriculum for every grade - including one on composting. The farm aims to be a living classroom with hands-on education in food awareness and environmental sustainability. 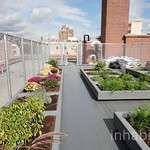 Fifth Street Farm is setting up a vokashi composting system on the roof top farm of a complex of public schools.2013 Winner of First-Ever Manhattan Community Scale Composting Contest. Variety Boys & Girls Club of Queens Inc.